Limited private/semi-private/small group training will be available again this winter at Next Level Fitness in Haymarket. Contact Coach Larry for available time slots and days. As a stand-out Sophomore mid-fielder in high school, Larry was called on as goalkeeper on a part-time basis for his team when they experienced a GK injury. It was at this point becoming a Goalkeeper took hold. Playing more in goal for his school and joining a club team in upstate New York as their full-time keeper, he was hooked! Training hard and attending GK camps throughout the US, Larry quickly developed his skill. He was selected as a walk-on Freshman to his NCAA Division III LeMoyne College team, where he became the starting keeper that year, a position he held for 3 years. Unfortunately, injuries late in his junior year in addition to participating in an educational internship in Washington, DC ended his collegiate playing career. Although he took a short break from playing keeper when his two children were very young, Larry continued to play goalkeeper for a variety of adult amateur and semi-professional indoor and outdoor teams in NY, NJ and now in VA. The desire to coach and instill the fundamentals of the position took Larry to work with GKs in Northern VA beginning in mid-2000. Since then goalkeepers from over 20 local clubs have come to Larry’s program and he is currently the goalkeeper coach for the SYA Boys and Girls travel Academy programs, boys goalkeeper coach at Battlefield High School, and the NVSC Majestics Super Y Goalkeeper Coach. Larry has over 20 years experience playing and coaching keepers for this unique and challenging position. Larry partnered with international Goalkeeping Academy Just 4 Keepers to help fill the void in available Goalkeeper training in the area. 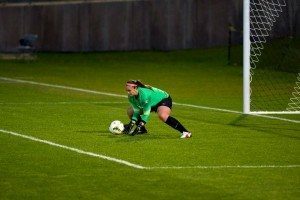 Many times the goalkeeper is not provided the time, attention or quality touches on the ball that their field player teammates receive in order to develop as a player. 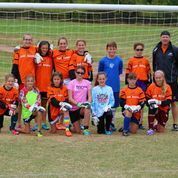 The J4K program operates as a year-round group training system, utilizing the skills of all the participating goalkeepers to help each other develop. By meeting weekly, the J4K program reinforces the skills needed to be a successful GK. It is our belief that the GK position requires regular, consistent, and on-going training and is not a skill that can be learned and perfected in few sessions. NCAA Div III LeMoyne College GK 1986 -90. 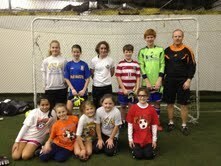 Goalkeepers participated in a FREE clinic held at Manassas Sports, Soccer and Training. Everyone had a blast working on stopping low shots! 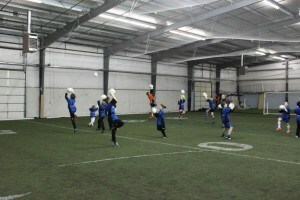 Pictured is the Academy working out indoor at Manassas Sports, Soccer and Training this winter. We will move outdoors beginning Tuesday, March 19th and will meet every Tuesday evening from 6:30 – 7:30pm at the Linton Hall School. Call today for your FREE session! The floor was nice and soft at GMS Gynmastics to work on Advanced Diving and top corner saves. Great Job keepers! 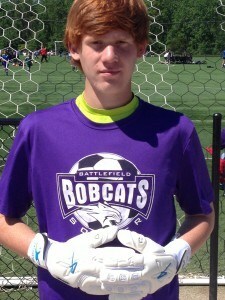 Congratulations to J4K and Battlefield HS Keeper Justin Ennis (Fr) on a good season! Justin will be representing Virginia at the Region I tournament in NJ in June. Here Justin is pictured sporting the J4K Pro-NC gloves, his new favorite J4K glove. 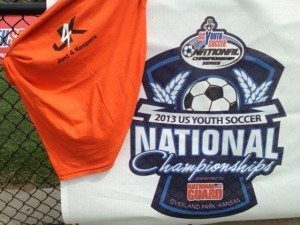 J4K was represented at the 2013 US Youth Soccer National Championships in Overland Park, KS this weekend by Justin Ennis, playing for the Bethesda Lions U15 team (and Dad Richard’s GREAT J4K SHIRT!!). The Lions had a great run, losing in the National Championship game 1-0. Congrats to the Lions and Justin on a job well done! 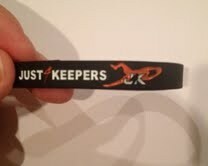 Just 4 Keepers is happy to be providing the Goalkeeper training for the Warrenton Youth Soccer Club this fall. 18 Goalkeepers from all the travel teams within WYSC meet every Saturday afternoon to workout with Coach Larry and focus on improving their skills to help their teams. If you’re a keeper interested in improving YOUR skills, contact J4K of NoVA for info on how to set up your FREE session! J4K of NoVA is happy to announce a partnership with Evergreen Sportsplex and the intoduction of a Loudoun County Academy beginning 3/2014. Evergreen is a fantastic new facility offering 4 full size lit turf fields. Located off Evergreen Mill Road in Leesburg, keepers will have the opportunity to join the growing number of J4K players in training at this excellent facility. More details will soon follow – but 2 sessions will be offered. One for U12 keepers and another for age 13+. 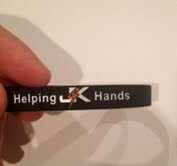 Keep watching the J4K of Northern VA Facebook page and here for more info as the date gets closer! Set aside all your player’s outgrown equipment for a GREAT CAUSE!! To benefit Helping Haitian Angels of Haymarket and Helping Haiti and Soccer of Warrenton, with fantastic cooperation of SYA and VSA, donation locations will be set up at SYA Sportspark and James Long Park from 9am – 5pm on April 5th and 6th. All gently used equipment is greatly appreciated! All will go directly to the youth of Haiti who love playing the beautiful game but are in desperate need of some quality equipment! So don’t throw that stuff away! Bring it to our special equipment drive!! 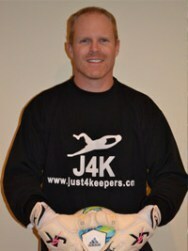 J4K Goalkeeper David G. sporting his J4K gloves for a game! Indoor training at Elite Sports Indoor in Manassas to be available soon! 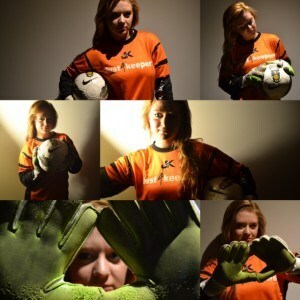 Goalkeeper training in Northern Virginia just got even better! J4K of Nova is happy to announce the return of Che Brown to the J4Kof NoVA staff for the winter session. Che was on staff with us last winter before heading to the Washington Spirit and the Boston Breakers of the NWSL for the 2015 season. Che is a graduate of D1 Radford University where she is the most decorated female GK in the program’s history. In addition to playing in the NWSL, Che has also played with Tampa in the W-League and the Houston Aces of the NPSL. Discounted pricing for winter training expires soon! 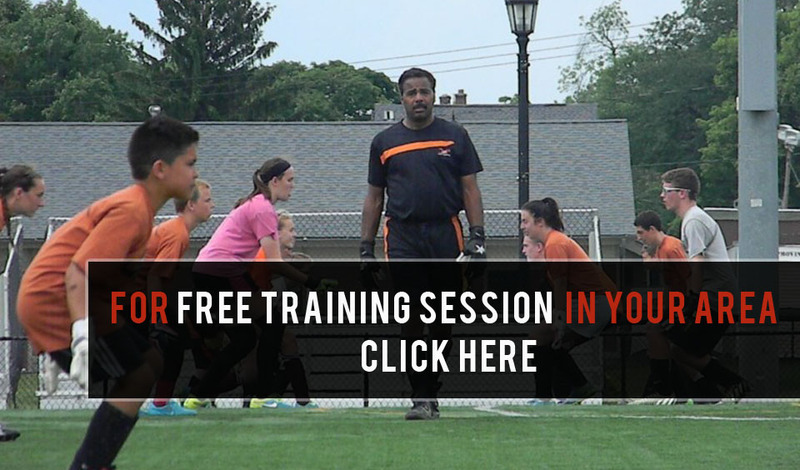 Goalkeeper training in Herndon, VA returns! Outdoor Training in Leesburg and Gainesville VA resumes! Keeping those mitts in top shape! J4K Residential Summer Camp 2017! Rockin’ and recovering: getting up to save another day! 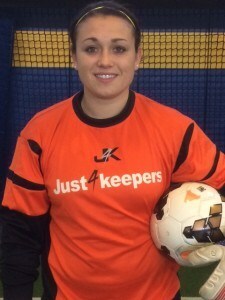 J4K NoVA keeper helps team win conference title! J4K of NoVA Summer Camp successful! Additional location in Fairfax County VA! 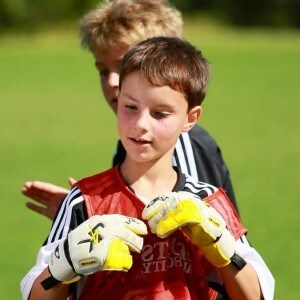 More experienced GK Coaching in Northern Virginia! Indoor Training at Elite Sports Indoor! New Woodbridge, VA location added for weekly classes! Indoor Winter 14/15 signups coming soon! Parents of goalkeepers in VA please read.. I can’t see clearly now…. 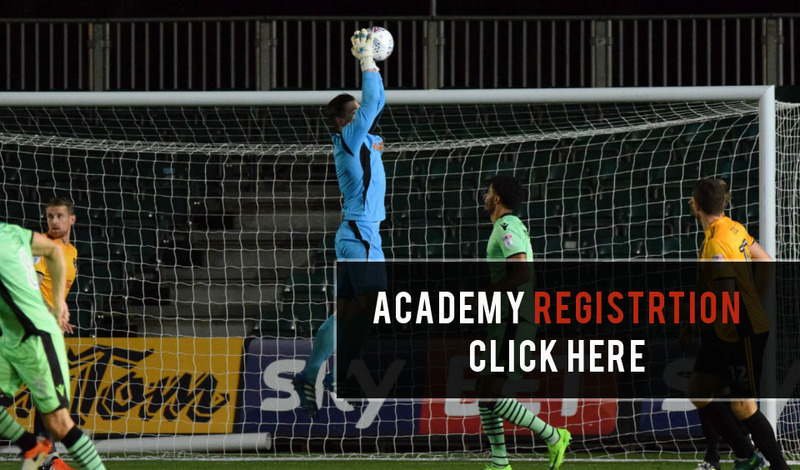 How to develop and keep goalkeepers interested? Loudoun County Academy coming in Spring 2014!!! It doesn’t have to be Fancy to be good footwork! Northern Virginia’s most handsome Goalkeeper! Champions of the Richmond Kickers Tourney! Goalkeeper Training in Northern VA just announced! Don’t forget about the keepers! Register for the Spring Break Camp! Do I really need separate training?